Vitamin and mineral supplement that supports vibrant red plumage in red factor canaries. 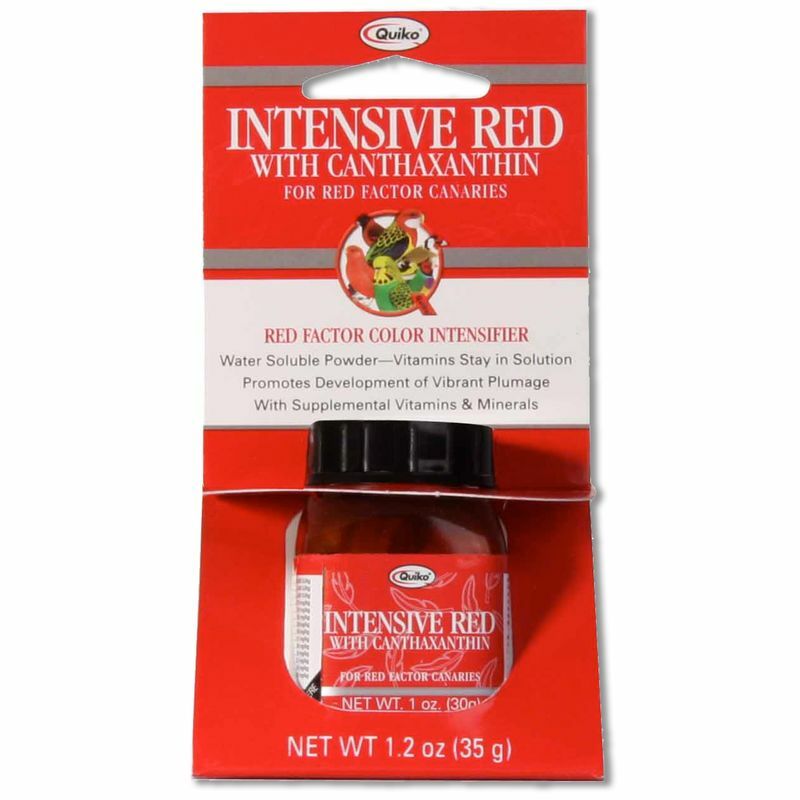 Quiko Intensive Red is a water soluble powdered supplement that contains Quiko's regular blend of vitamins and minerals needed for overall health and well-being, plus canthaxanthan. Canthaxanthan is used to promote the red coloring seen in red factor canaries, which are uniquely bred and prized for their brilliant red plumage. 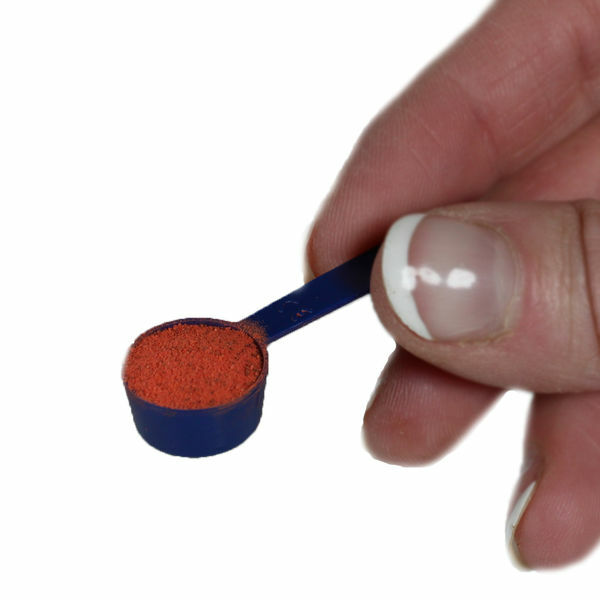 Using the 0.7 g included scoop, measure out desired amount of Intensive Red and mix with Quiko Egg Food or fresh clean drinking water (1 scoop powder to 1 oz Egg Food or water). When adding to water, mix until powder is completely dissolved. Supplement mixture can be offered throughout the day and should be changed daily to ensure freshness. Store jar with cap tightly closed in a cool, dry place. Use only with pet birds. Glucose, Canthaxanthin, Calcium Carbonate, Vitamin A Supplement, Vitamin D3 Supplement, Vitamin E Supplement, Menadione Sodium Bisulfite Complex, Thiamine Hydrochloride, Riboflavin Supplement, Niacin Supplement, Inositol, Pyridoxine Hydrochloride, Folic Acid, Vitamin B12 Supplement, Biotin, d-Calcium Pantothenate, Ascorbic Acid, Zinc Sulfate, Ferrous Sulfate, Manganese Sulfate, Copper Sulfate, Cobalt Sulfate, Calcium Iodate, Orange Flavor. 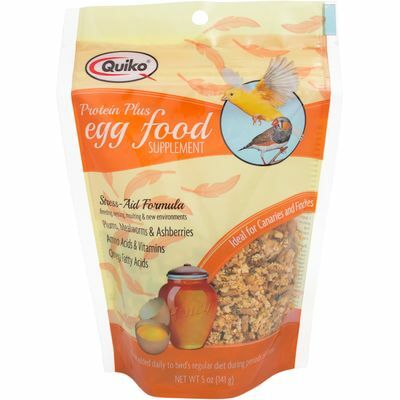 Wholesome egg supplement designed specifically to help promote the health and well-being of companion canaries. Vitamin and mineral supplement that supports vibrant red plumage in red factor canaries.